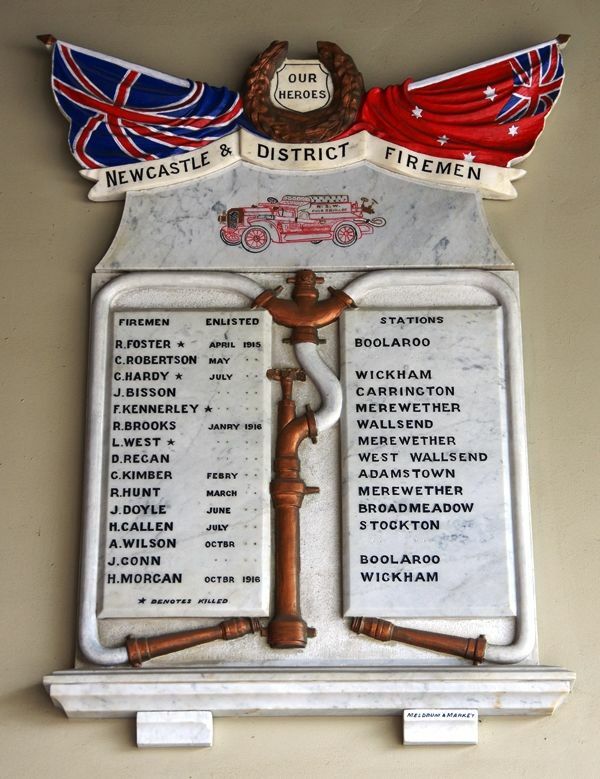 Newcastle and District Firemen Honour Roll commemorates those firemen who enlisted in World War One. Consisting of two marble tablets, they detail the name, enlistment month, year and the Brigade the man was attached to on enlistment. 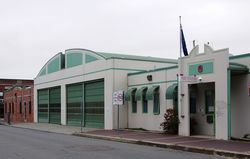 The ceremony of unveiling the roll of honor of the Newcastle and district firemen will be performed at the District Fire Station on Friday evening by the president of the Board of Fire Commissioners (Mr. Farrar, M.L.C.). 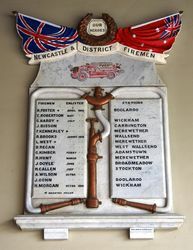 others who have their intention of being present, are Mr. Charlton, M.H.R., Messrs. Estell and Gardiner, M's.L.A., the Mayor of Newcastle and some of the suburban Mayors, Fifteen names are inscribed on the roll, and four of the men made the supreme sacrifice. One of these was L. West, of the Merewether Brigade, who, after winning the D.C.M., was promoted to commissioned rank. The other three were F. Kennerley (Merewether), G. Hardy (Wickham) and R. Foster (Boolaroo). The remaining eleven, a number of whom have been returned as invalids, are: C. Robertson and J. Conn (Boolaroo), J. Bisson (Carrlngton), R. Brooks (Wallsend), D. Regan (West Wallsend), G. Kimber (Adamstown), R. Hunt (Merewether), J. Doyle (Broadmeadow), H. Callen and A. Wilson (Stockton) and H.Morgan ( Wickham). Newcastle Sun (NSW), 25 March 1919.